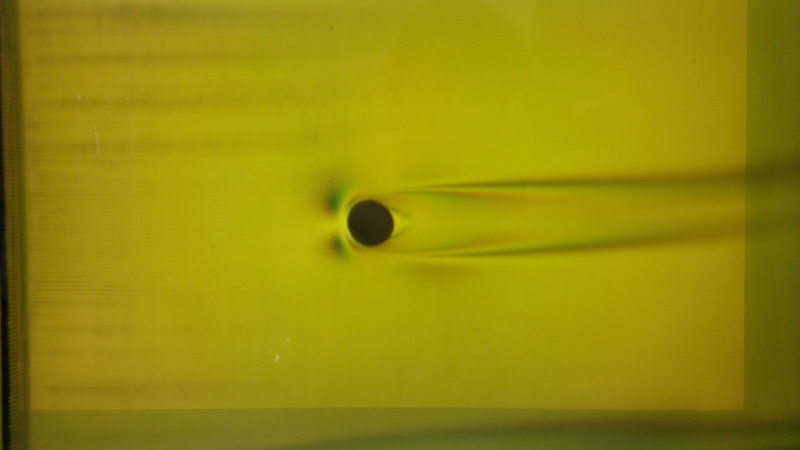 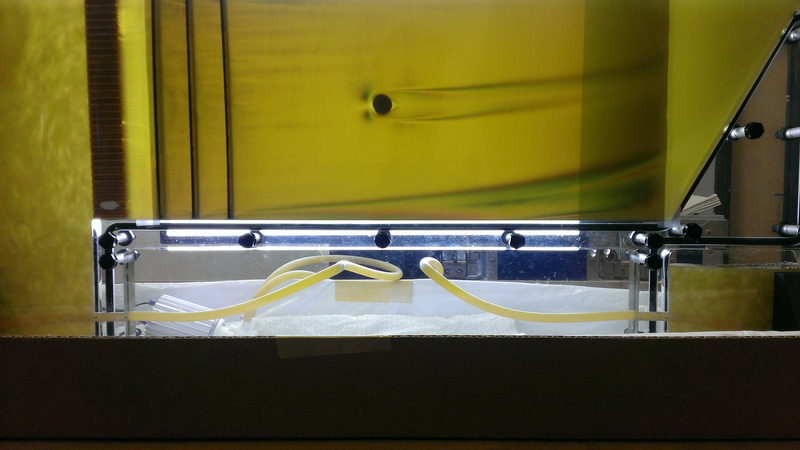 I designed and built a prototype exhibit to visualize flows around different shapes, so guests can see why streamlined shapes create less turbulence (and drag) than blunt shapes. 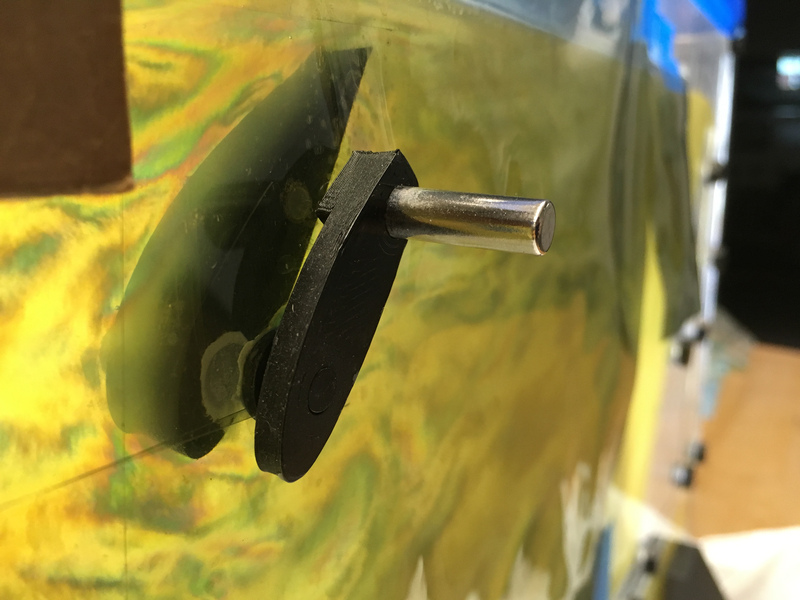 I managed a team of volunteers who tested this tank with both a cylinder and a wing section. 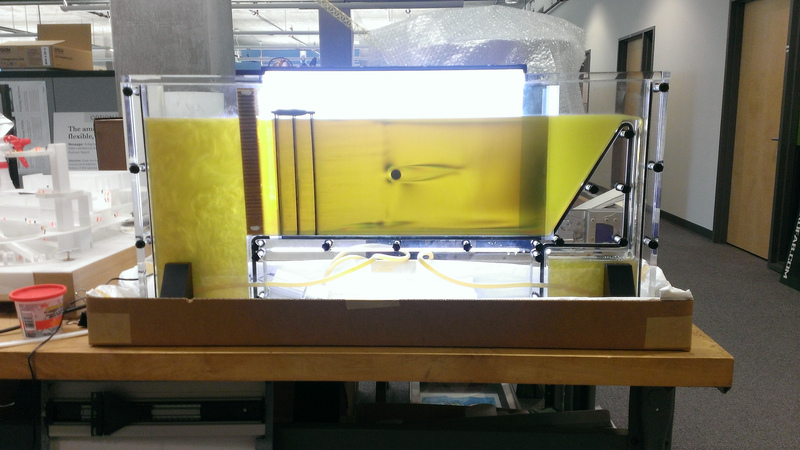 This prototype tank is filled with a rheoscopic fluid developed by Laminar Sciences. 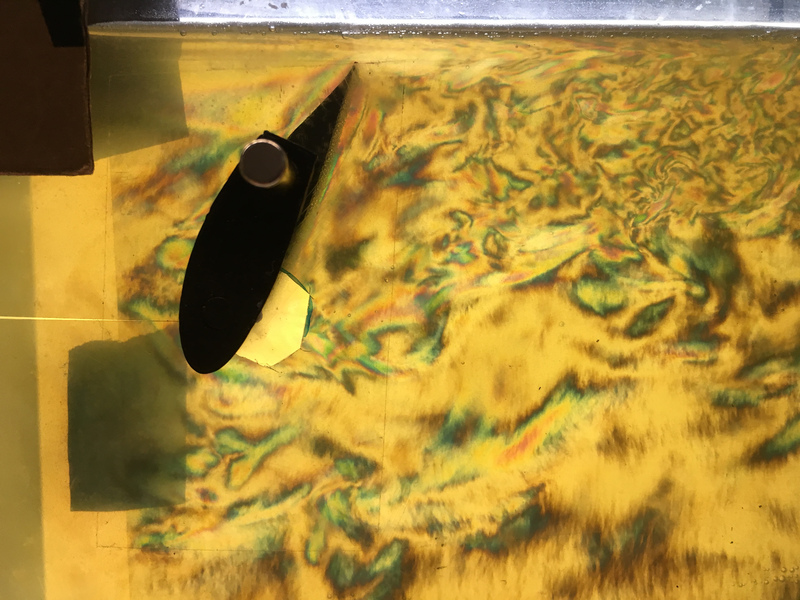 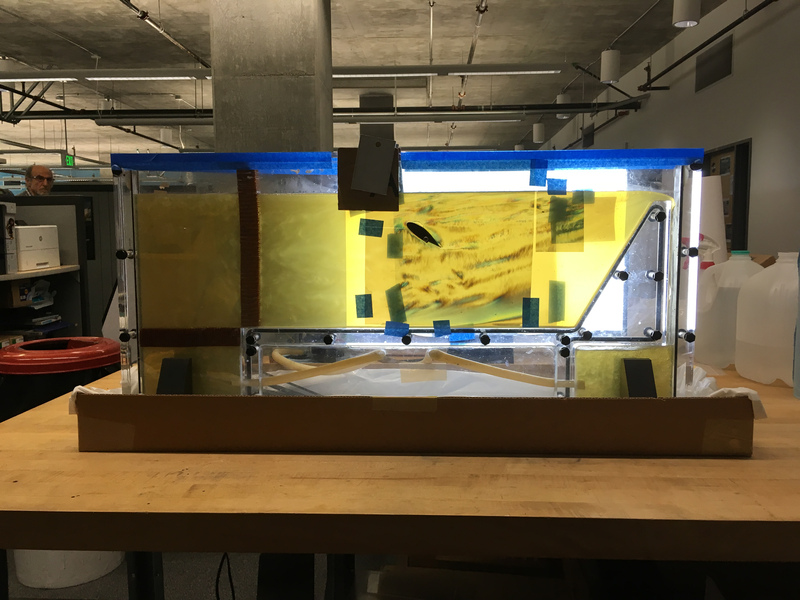 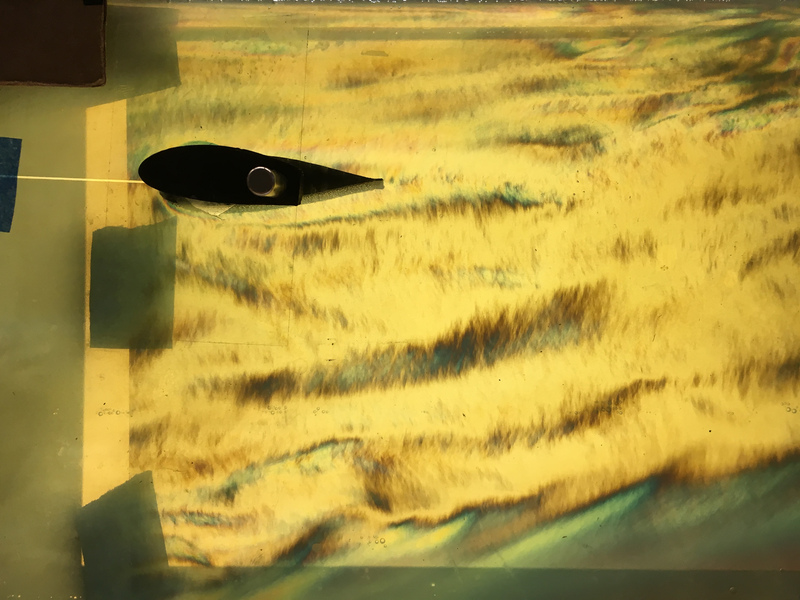 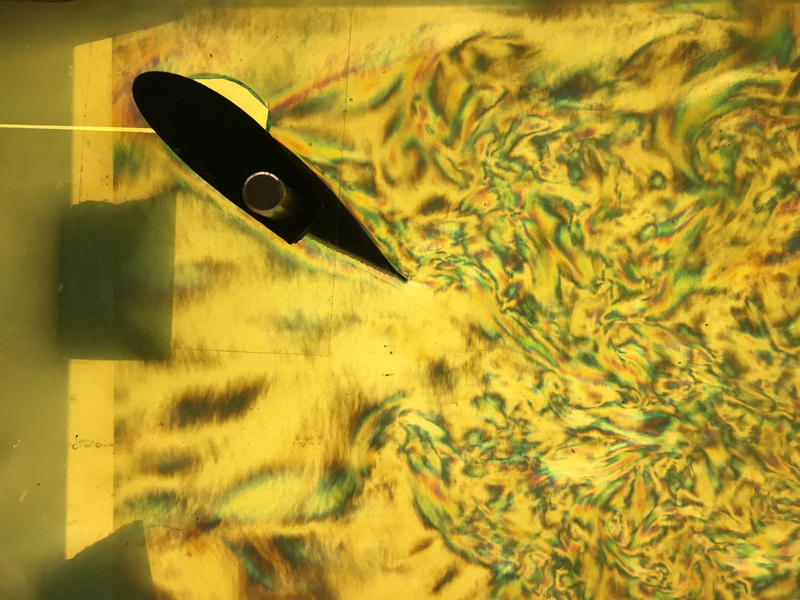 When we shine polarized light through the tank, the fluid shows dark lines to visualize how it is moving around shapes in the tank.